Hammond, Indiana – Trademark attorneys for ArcelorMittal USA LLC of Chicago, Illinois sued alleging violations of intellectual property rights and other rights. The lawsuit, filed in the Northern District of Indiana, alleges that Albert Arillotta, Global Demolition and Recycling, LLC, NMC Metals Corporation, and Arillotta Enterprises, LLC, all of Swampscott, Massachusetts, engaged in false designation of origin and false endorsement; dilution by blurring and tarnishment; deception; forgery; and deceptive trade practices. 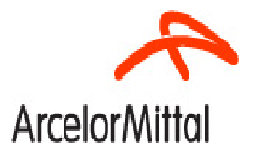 ArcelorMittal is a producer and supplier of steel products. It owns and operates a steelmaking facility in Burns Harbor, Indiana. ArcelorMittal claims rights in federal trademark registrations to “ArcelorMittal” (Reg. Nos. 3908649 and 3643643) and “Mittal” (Reg. No. 4686413). In 2012, Plaintiff ArcelorMittal solicited proposals for the installation of a pig iron casting machine at its Burns Harbor steelmaking facility. Plaintiff indicates that Arillotta, through his company Arillotta Enterprises, Inc., submitted a proposal for the project but that it was rejected. Nonetheless, contends ArcelorMittal, Arillotta subsequently represented to various third parties that “Arcelor Mittal Burns Harbor” and Defendant(s) had, in fact, entered into a contract for such an installation. Plaintiff further claims in its federal lawsuit that Arillotta forged the signature of two individuals, Michael Rippey and Louis Schorsch, listed as officers of ArcelorMittal, on documents related to this false claim. Plaintiff also indicates in this lawsuit that Arillotta, when later unable to make payments owing on another contract, falsely claimed that ArcelorMittal would wire transfer $338,200.00 to cover an initial payment. When no such payment was forthcoming, because Plaintiff indicates that no such agreement existed, the payee on that contract then began to demand the money directly from ArcelorMittal. Plaintiff ArcelorMittal asks the court for injunctive relief, money damages, costs and attorneys’ fees. The case was assigned in the Northern District of Indiana as Case No. 2:15-cv-00239.